Two Salem College students will spend this summer abroad participating in prestigious language immersion programs. Kathryn Williams, a double major in chemistry and public policy with a minor in religion, will live and work in Indonesia as part of the Critical Language Scholarship (CLS) program, sponsored by the United States Department of State. Williams will live with a host family and experience Indonesian culture first-hand. She will also work in hospitals and clinics specializing in prenatal care. Critical Language Scholarships provide group-based summer intensive language instruction and structured cultural enrichment experiences for eight to ten weeks. The intensive summer language institutes include four to five hours of language instruction each day, five days a week. 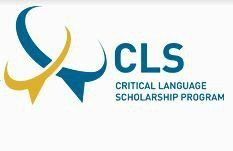 CLS participants cover approximately one year’s worth of language study during the summer institutes. Mandatory or voluntary activities outside of formal classes may also be provided, including tutoring, peer conversation partners and homework assignments. In addition, participants will participate in a variety of group-based cultural enrichment activities and excursions. International relations major Sara Otero, who also participated in the CLS program in Tunisia last summer, will participate in a similar program this summer in Oman. As a CLS Alumni Ambassador, Otero was awarded a scholarship by Sultan Qaboos bin Said al Said of Oman to participate in The Sultan Qaboos Cultural Center Summer Arabic Language and Media Program (SQCC SALAM) in Manah, Oman. SQCC SALAM is a fully-funded intensive Arabic language scholarship program that includes cultural components and trips around Oman. This intensive Arabic language program will allow students to gain a deeper knowledge of Arabic, while becoming familiar with Omani history and culture. Only a select number of American students are chosen for the program each year.